A lot of thing going on as GEN CON approaches. Set during the same series of events as the video game, players take on the role of the Founders and Vox Populi factions, desperately seeking to seize control of Columbia. Gain points from staking your claim to the city’s territories and accomlishing other goals, all the while fighting your opponents and Booker while trying to influence Elizabeth and commanding an army of detailed miniatures as well as the Songbird and Airship! In BioShock Infinite: The Siege of Columbia, each player uses their unique deck of cards to influence world events, build their army, fight off Booker, zoom around the city on the Sky-Line, and claw their way to ultimate control of Columbia. The game is scheduled to come out in Europe and the US mid August. It contains everything needed to play for a 2 player game of Dungeon Twister, with cards only!!!! And you will be able to build your team choosing between a large array of characters and objects. Needless to say that this box by itself offers lots of possibilities. 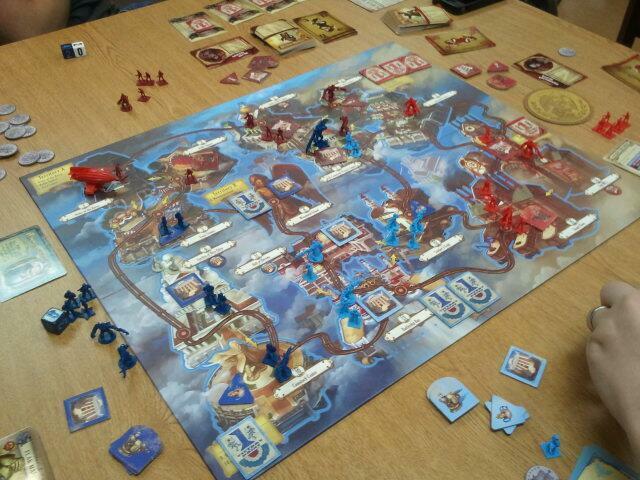 But best of it all, each deck per player could fit in your jacket pocket. Now you’ll be able to play DT almost anywhere !!! 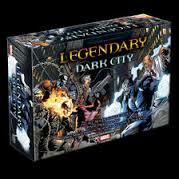 Dark City, the first expansion to “Legendary: A Marvel Deck Building Game” brings an entirely new level of play to the critically acclaimed card game. In Dark City, players can use any of the new heroes including Cable, Professor X and Blade to face off against all new villain groups such as The Four Horsemen of the Apocalypse and The Mutant Liberation Front! Dark City also features 8 new schemes and 5 incredibly tough all new Masterminds for players to try and defeat. It is now up to you to defeat evil and become Legendary! 350 playable cards with ALL New content!